We forge products according to the material specified in customers' drawings. If we don't have such material locally, we will make economic considerations. In the quotation stage, we confirm with customers if we should import mateirals from abroad or use alternative materials. 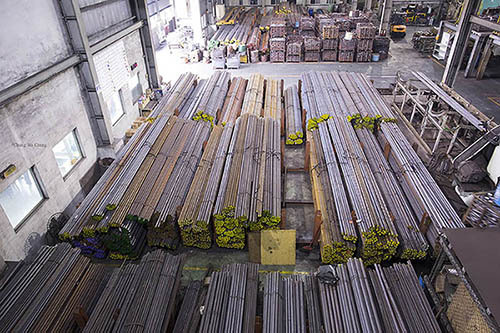 The world's sixth largest steel manufacturer who locats in Taiwan provides us 300 tons of steels per month, to ensure our steel demand, in order to satisfy the high quality requirement of customers. 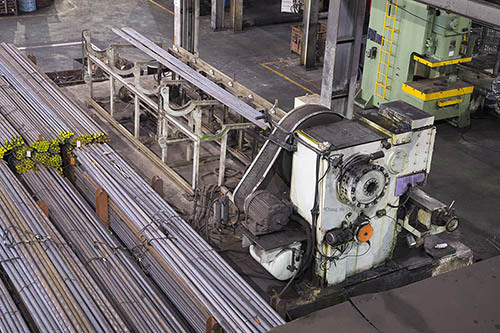 In addition, we also store 4,000 tons of raw materials to be in compliance with the production schedule, which supports our monthly consumptions for forgings: 800 tons of steel and 300 tons of aluminum.